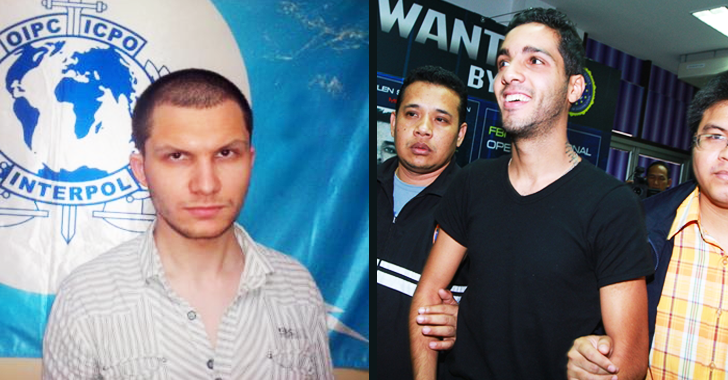 Two International hackers, Aleksandr Andreevich Panin and Hamza Bendelladj, have been sentenced to a combined 24 years and 6 months in prison for their roles in developing and distributing SpyEye banking trojan, a powerful botnet similar to the infamous ZeuS malware. Both hackers were charged with stealing hundreds of millions of dollars from banking institutions worldwide. Masterminds behind the development and distribution of the infamous "SpyEye" botnet have finally been sentenced to a combined total of 24 years and 6 months in prison. Aleksandr Andreevich Panin and Hamza Bendelladj have been sentenced for their roles in developing and distributing SpyEye malware that is said to have caused hundreds of millions of dollars in losses to the financial sector, the U.S. Justice Department said on Wednesday. SpyEye, a successor to the notorious Zeus banking malware, has affected financial institutions since 2009. Once infected, the malware connects to the command-and-control servers controlled by attackers and steals the victim's personal and financial information, like online banking credentials and credit card information using keyloggers and Web injection. Panin, a 27-year-old Russian programmer also known by the aliases 'Gribodemon' and 'Harderman,' was sentenced by the court to nine years, six months in prison for developing SpyEye as a successor to Zeus. In 2010, Panin allegedly received the source code and rights to sell Zeus from Evginy Bogachev, aka Slavik, and incorporated many components of it into SpyEye. Bogachev, who is currently the FBI's most wanted hacker, remains at large. Panin's associate Bendelladj, a 27-year-old Algerian national also known by the hacker alias as 'Bx1' and 'Happy Hacker,' who hacked 217 banks, donated more than $280 Million to Palestinian charities. He got a sentence of 15-year in prison for marketing and advertising the SpyEye malware on various online forums. Bendelladj sold versions of SpyEye to almost 150 clients for prices ranging from $1,000 to $8,500 and one of his customers, 'Soldier,' had reported having made over $3.2 Million in just six months using the virus. The Department of Justice (DoJ) has described SpyEye as a "preeminent malware banking Trojan," which was used to infect over 50 million computers worldwide from 2010 to 2012, causing nearly $1 Billion in financial losses to individuals and financial institutions globally. Bendelladj was arrested in Thailand in January 2013 and extradited to the United States at the same year while Panin was detained in July 2013 while he was flying through Hartsfield-Jackson Atlanta International Airport.